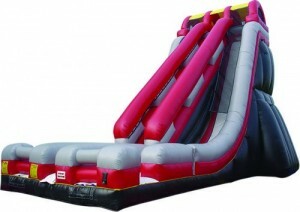 Top of the line Water Slide, biggest and the best with attached bounce house rentals from Party Rental Miami. 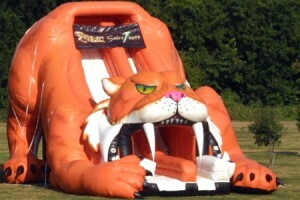 This awesome Saber Tooth double lane combo bounce house is a guarantee to a success at any birthday, festival, carnival, fair, expo and trade show. Now you can be part of history by taking the plunge down the Niagara Falls Water Slide and Slide to safety along a rainbow-covered river. 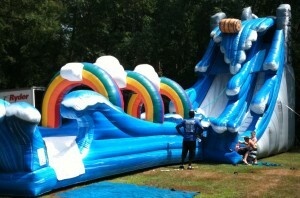 This conveniently sized water slide rental brings all the thrills of the famous falls to your backyard. 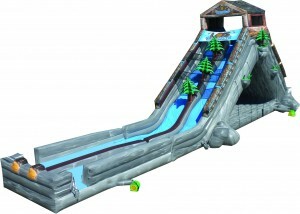 The most extravagant Water Slide of them all… The Edge Water Slide! With over 20 feet tall, yo can bring this intense fun to your very own back yard and can also be used as a dry slide bounce house.